(2) v.14 – the things of God are spiritually discerned/understood – not merely by limited human reasoning alone. In this study, I’d like us to focus on another of the main roles of the Holy Spirit – that of being a Guide to the believer. Let’s start by reminding ourselves of a role that Christ had when He walked the earth. Note John 14:16 – “another” paraclete. Christ Himself fulfilled these roles when with them, and then was going to send "another" paraclete. The disciples (the twelve, and others) looked to Him for guidance, comfort, counsel, help, etc. - most commonly, though, His will was made known via prophets, and through the written word of God, given through the inspiration of the Holy Spirit. On occasions, God's will was even made known via direct guidance of the Holy Spirit, especially upon the leaders of the nation, such as King David and King Saul, but even they were guided in their lifetime by prophets such as Samuel, Gad and Nathan as well. The people are about to enter the promised land. Moses, under the inspiration of the Spirit, delivers his final address specific to that generation. The people had the written word of the Law to guide them. In that context we read how their God was near and would be there with them, and listen to their requests. This passage mentions some of what we just read in Deuteronomy 4. Our God is near; we may pray for anything, as the Israelites of old were able to ask for anything. In Deuteronomy 4:5,6 the premise is that the people needed to observe the Scriptures. Would God ever have granted the requests of the people if the request was contrary to His revealed word? No, and it is the same today. Often people pray for things and ask for guidance in ways that are contrary to what is revealed truth for this dispensation. Eg, demanding miracles be done, quoting the Scripture from John 14:13 –“If you ask anything in My name, I will do it” – a prayer that was applicable to the 12 disciples in the Acts Period, not the Christian of today. (2) those miraculous forms of guidance were mainly to do with the outworking of God’s plans on a national level, ie, for His nation Israel, not at a merely individual level. - no more prophets speaking the inspired Word of God not previously revealed. However, like the people of OT times, we do have the written word of God, originally given through the inspiration of the Holy Spirit. Essentially, from Moses' time onwards, people had the written word of God to guide them - and we still have it, and we are told to consult it. 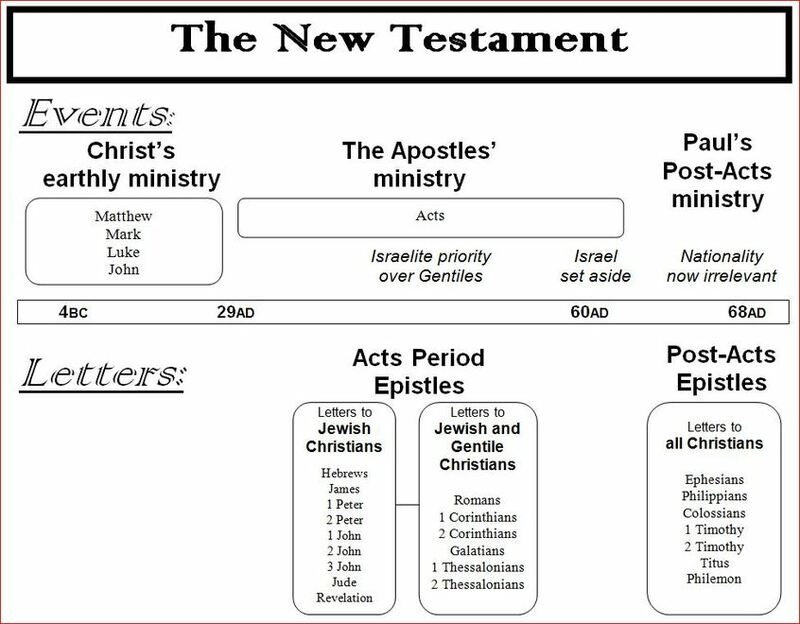 The Scriptures were given through the Holy Spirit, thus should be our primary guide. Any extra guidance we may receive from the Holy Spirit today will always be in accordance with the Scriptures - a set of guidelines already available to us. v.16,17 We already have the scriptures for much of the guidance we need. In fact, from Moses' time onwards, the people had a written guide on how to conduct their daily walk before God. Do we ourselves use the Scriptures this way? Having the Scriptures and not using them as a guide, is a bit like when Christ walked the earth. At that time, He performed miracles and signs. The Pharisees, etc. rejected Him, and then asked for signs, which were then not given. Next verse - Matt 16:1-4 Pharisees and Sadducees - "show us a sign"
"no sign will be given except the sign of Jonah (a ref to his death and resurrection)"
The point is, we already have the written guidance. Do we actually use it to learn God's will, or do we just say “I believe the Bible”, but not consult it and still say “I need a sign from God”? READ Deuteronomy 29:29 – “The secret things belong to the Lord our God, but those things which are revealed belong to us and to our children forever, that we may do all the words of this law”. - Exodus 20:15 - do not steal. cp Ephesians 4:28 – let him who stole, steal no longer. - Exodus 20:12 “honour your father and your mother”. cp Ephesians 6:1,2 Children obey your parents in the Lord, for this is right; and Paul then quotes "honour your father and mother"
Becoming familiar with the Holy Spirit inspired Scriptures, esp the instructions given in those later epistles, is probably our best guide. What about the Holy Spirit’s role now, regarding guidance? “ both to will and to do” – a difficult phrase to translate and unravel. New Living Translation - For God is working in you, giving you the desire and the power (to energein) to do what pleases him. - "energy" type Greek words are regularly associated with the working of the Holy Spirit. eg, Ephesians 1:19,20 power toward us who believe, according to the WORKING of His mighty power, which He WORKED in Christ when He raised Him from the dead. The same power, working in us, giving us the desire and the power to do God's will - guidance and strength through God's Spirit at work in us. Therefore, we read "Do not grieve the Holy Spirit" (Eph 4:30) by doing the wrong things listed there. NEXT WEEK……. More of what Paul’s later epistles, especially, have to say about the guidance of the Holy Spirit today. We’ll focus a bit more on some of those big decisions we have to make in our lives.